This is a great chair for any outdoor event. 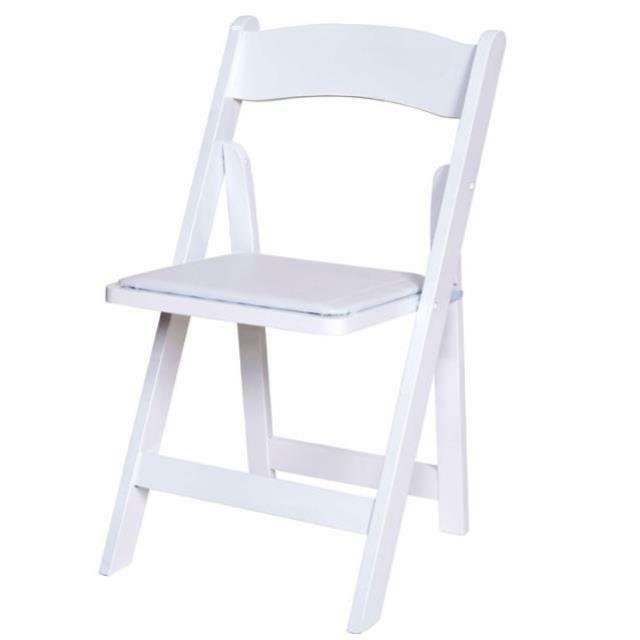 Also called a ceremony chair, it's very popular for weddings, so reserve early to ensure the best availability. * Please call us for any questions on our white resin padded chair serving Portland-Vancouver Metro, Columbia River Gorge and surrounding areas.